While it’s great to plan and save up for a big, weeklong family vacation, sometimes it’s just as good to get away for a long weekend with the kids. And weekend trips can be cheaper – depending where you go, that is. Plan your next escape with one of these cheap family weekend getaways. 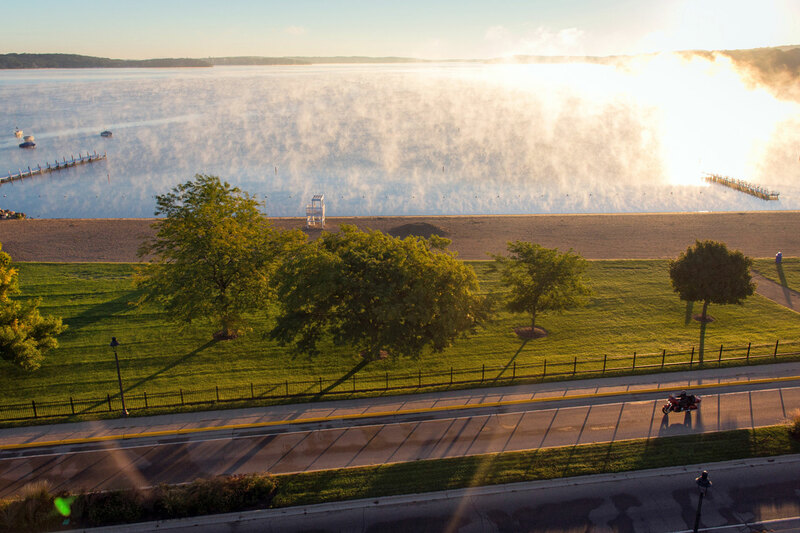 For a great selection of family-friendly activities and events, book a cheap family weekend getaway to Clear Lake, Iowa, says Sara Broers of Travel with Sara. 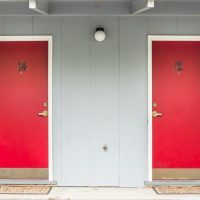 “Located two hours south of Minneapolis and two hours north of Des Moines, right off of Interstate 35 in North Iowa, this town of nearly 8,000 people is filled with affordable, family experiences,” she says. These include a family-friendly beach, yurts, family fishing experiences, holiday events and even a kite festival on the lake in the middle of winter. An hour and a half from Chicago, Lake Geneva, Wisconsin, is the perfect cheap family weekend getaway. In fact, Lake Geneva is better for a long weekend than a weeklong visit if you ask us! 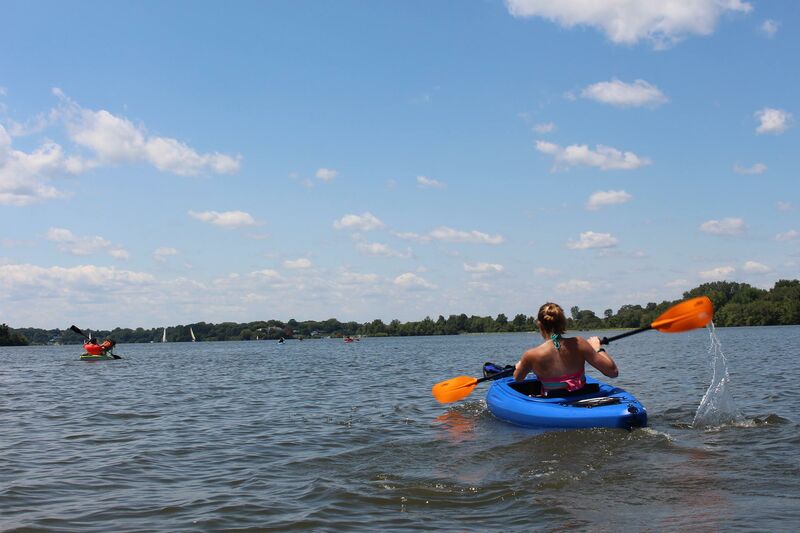 Families can enjoy a weekend of boating on the lake, swimming, and lounging on the beach. Or you can go hiking (walk along the Lake Shore Path), biking, ziplining and horseback riding around this adorable Midwest town. There are also many free, public parks here. Fayetteville, North Carolina, is well-known as the home of Fort Bragg, a U.S. Army base that is actually the world’s largest military installation. And while the base is limited to military personnel and those on military business, there are other attractions great for families. “Fayetteville is a great family-friendly spot,” says Janice Brady of An Open Suitcase. “Most museums in the area are free admittance.” That includes the Airborne & Special Operations Museum, which documents Airborne and special operations history from 1940 to today, and the North Carolina Veterans Park, which honors North Carolina veterans from all branches of the military. 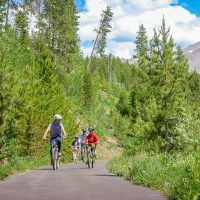 National and state parks are wonderful and budget-friendly destinations that every family should explore. They contain a wealth of activities ranging from hiking and boating to wildlife classes and ranger-led talks, plus so much more. 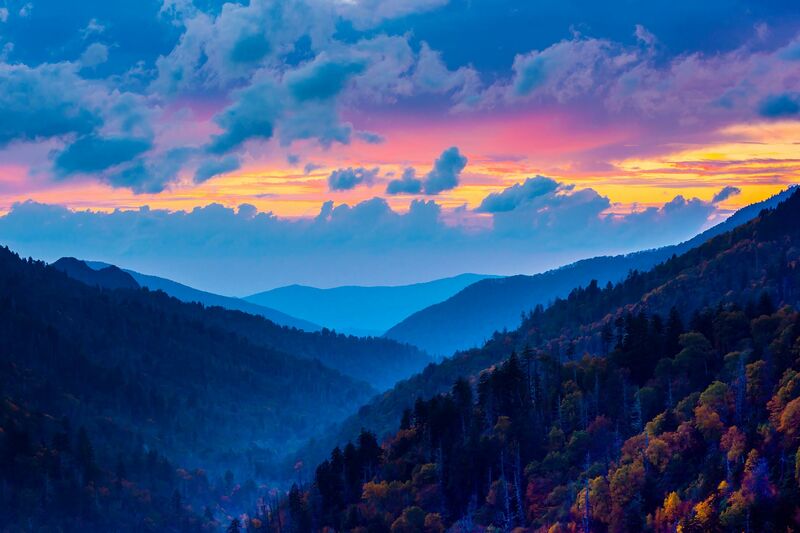 A great example is the Great Smoky Mountains National Park, which is within a half-day’s drive of approximately half the nation’s population. Admission is free, and there are numerous campgrounds throughout the park. Not a camping family? Head to nearby Gatlinburg, which overflows with family-friendly accommodations for all budgets and styles. Just an hour and half north of Atlanta in the North Georgia Mountains, Helen, Georgia, welcomes families to experience all this German town has to offer. “There is cheap river tubing, hiking, biking, golf and a fun, walkable downtown in Helen,” says Becky Beall of The Travel Voice by Becky. In fact, floating down the Chattahoochee through the heart of downtown Helen is one of the town’s most popular summer activities. Visitors also love shopping in the eclectic stores, sampling sweet treats at the Hansel & Gretal Candy Company, and touring the area’s wineries. Families looking for a cheap weekend escape from today’s hectic pace will find it at Oak Hollow Farm in Fairhope, Alabama. “While there, go horseback riding and fishing in their small pond,” says Eva Faircloth of Weekend Visit. “Kids love the giant oak tree behind the lodge. There is a campfire ring, too, for hot dogs and marshmallows.” Families can stay in the bunk rooms at Oak Hollow, which Faircloth says gives guests a campground feel while each bunk is set up to resemble a hotel room, but in a much more rustic fashion. “No phones or televisions to distract you from the great outdoors,” she says. Families who enjoy exploring the great outdoors will love the opportunities found in Hocking Hills, Ohio. “Most outdoor activities are free, and you can pitch a tent and camp if you like to save money,” says Karyn Locke of Sand and Snow. For example, at Ash Cave and Old Man’s Cave, you can hike to waterfalls and enjoy postcard-worthy views and plenty of trails to keep you on the move. Other ways to get outside and play is by canoeing, horseback riding, ziplining, rock climbing, rappelling, or taking an ATV tour. Take the family to Cape May, New Jersey, and enjoy a family getaway reminiscent of family vacations from years gone by. “Cape May is a throwback to a family town with no fast food, just mom-and-pop shops and eateries, a beautiful beach and boardwalk,” says Joanne Vero, producer of Travel Media Showcase. “Don’t forget early morning dolphin watching!” Family-friendly attractions include the Cape May County Zoo, the Cape May Fireman’s Museum, the Cape May Lighthouse, the Nature Center of Cape May, and the Naval Air Station Wildwood Aviation Museum. For a guided tour, hop aboard the MAC Trolley.